Desserts in Vietnam are generally different than most western desserts. 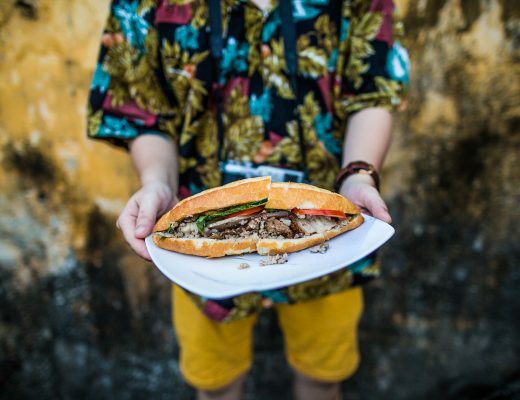 Granted, you will find the occasional French baked item taken straight from the patisserie and made� Vietnamese� here. However, one set of desserts is inherently Vietnamese:� chè. There’s nothing more enjoyable on a hot summer day than eating this chilly, sweet treat. No, it’s not the famous beret-clad revolutionary whose face is plastered on shirts all over� Pham Ngu Lao. It’s a dessert. In fact, it’s a family of desserts.� Chè� may be served hot or cold, in bowls, glasses, or over ice. 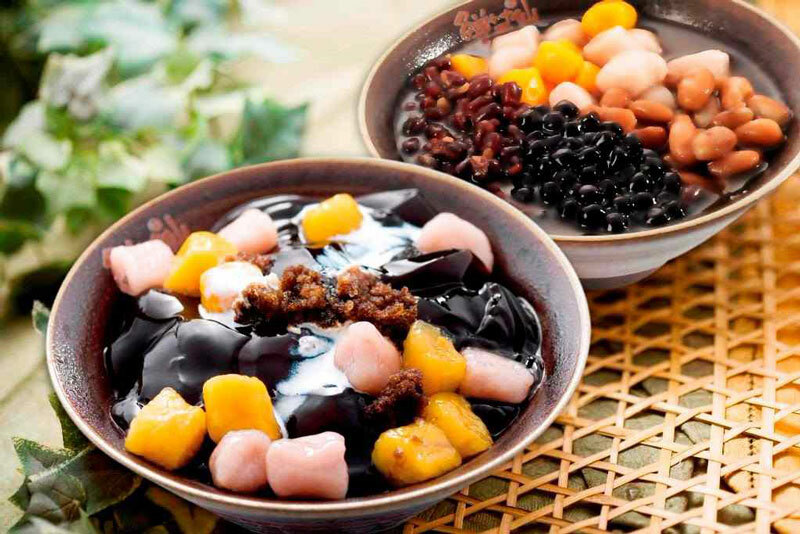 There’s a wide range of flavours, and might contain any amount of different ingredients: beans, tapioca, jellies, glutinous rice and fruit just to start. The options are nearly endless and it is almost impossible to produce a complete list. But we took a poll around the City Pass Guide offices. The result: this list of best� chè� dishes in� Saigon. Chè thập cẩm is the smorgasbord of the� chè� family, the absolute perfect choice for someone who wants a little bit of everything. This glass of� chè� has it all: beans, jelly, tapioca, steamed green rice flakes, mashed mung bean, coconut milk and sweet syrup on top. Everything is served in layers and then mixed up when eaten, making a sweet and savoury treat for a light and refreshing snack. Chè Kỳ Đồng is a one of the most popular mixed sweet soup shops in Saigon. It’s located in Ky Dong street, a spot it’s held for more than 34 years. The menu is updated every year with more new options for� chè� lovers, but the soul of this shop will always be mixed sweet soup. Everything is super affordable and the quality of their� chè thập cẩm is high. Not too sweet, not to bland, creamy or chewy. All you need to do is to mix everything and enjoy. If you don’t want coconut milk in your sweet soup, you better check out� sâm bổ lượng. This� chè� is a� revered herbal remedy as well as a dessert. 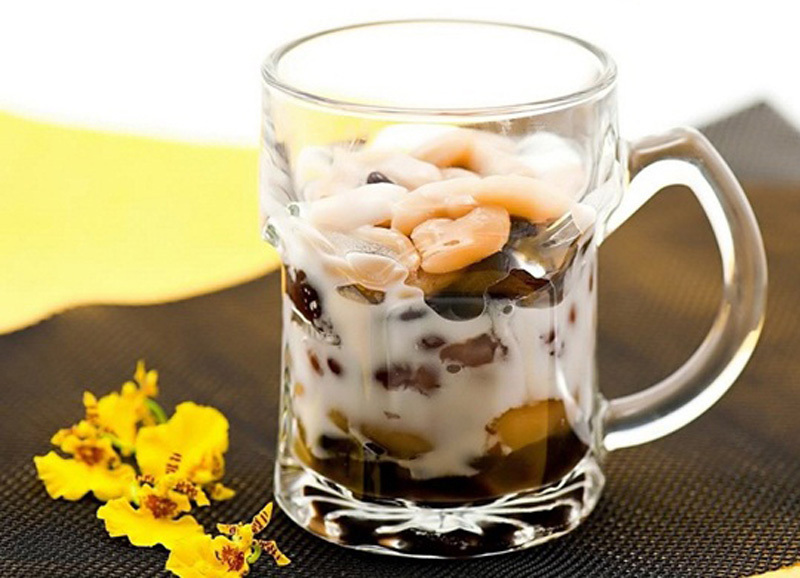 A glass of� sâm bổ lượng generally contains dried red jujube, dried longan, peanuts, lotus seeds, one to two slices of lotus roots and thinly shredded seaweed with sugar syrup, and crushed ice. Some of the ingredients are believed to aid the cardiovascular system and help the body function better. There’s nothing more enjoyable on a hot summer day than eating this chilly, savoury treat. 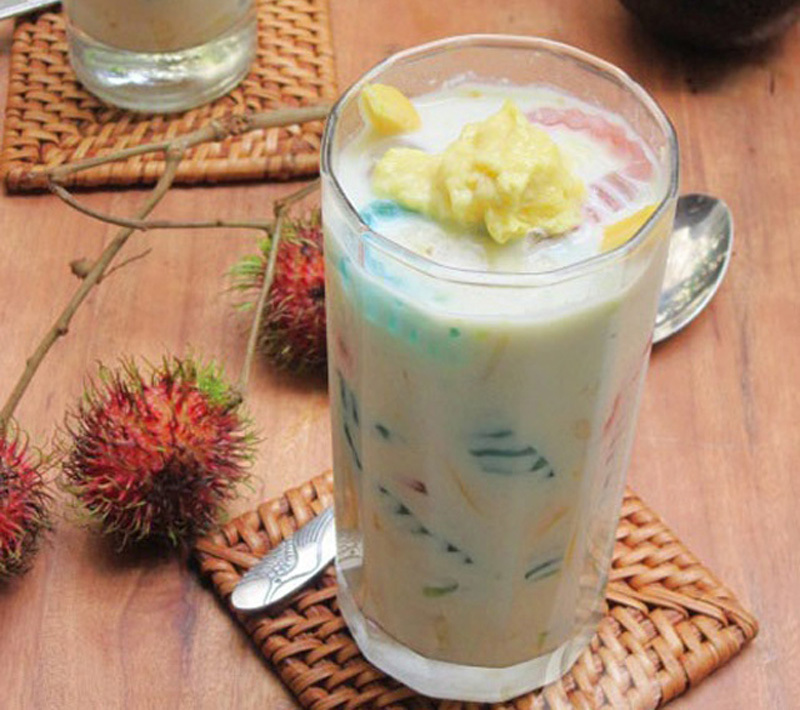 If you don’t mind� durian, have yourself a flavourful glass of� chè Thái. A version of Thailand’s tub tim grob, the Vietnamese version is less sweet and uses a variety of fruits. You can actually find a rainbow in Thai sweet soup: the yellow of jackfruit, the red of faux pomegranate seeds, the green of Vietnamese jellos and the white of lychees and longans. All are served in a tall glass with condensed milk and a scoop of durian. There are not only one or two� chè� shops in District 10’s Nguyen Tri Phuong Street – it’s an entire Thai sweet soup street! Around 7 p.m., the whole area featuring Thai sweet soup is lit up with neon lights, making you feel as if you are on a busy central street in Hong Kong. Customers, from teenagers to college students, from young couples to families with kids, sit on plastic chairs and tables overlooking the busy street and wait for their desserts to be served. You can jump into any shop you like, but we highly recommend Chè Thái Ý Phương, a nearly 20-year-old dessert shop. You won’t be disappointed. 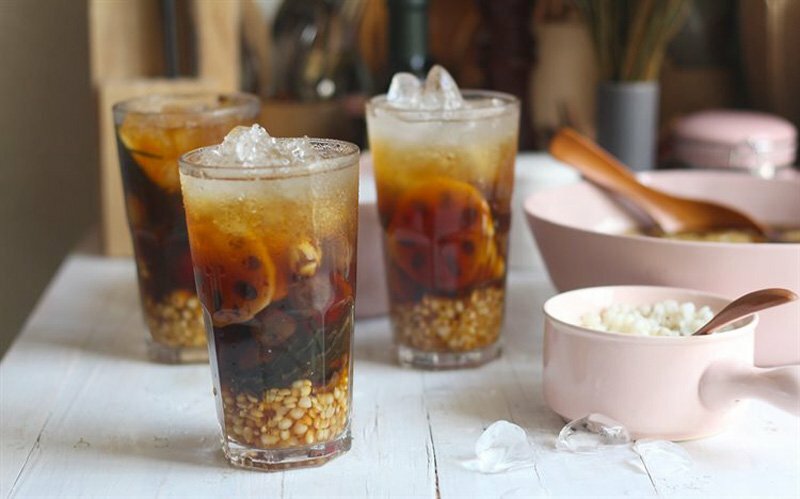 It was introduced to Saigon long ago, but� chè khúc bạch became a hit with Saigon youngsters in 2013. 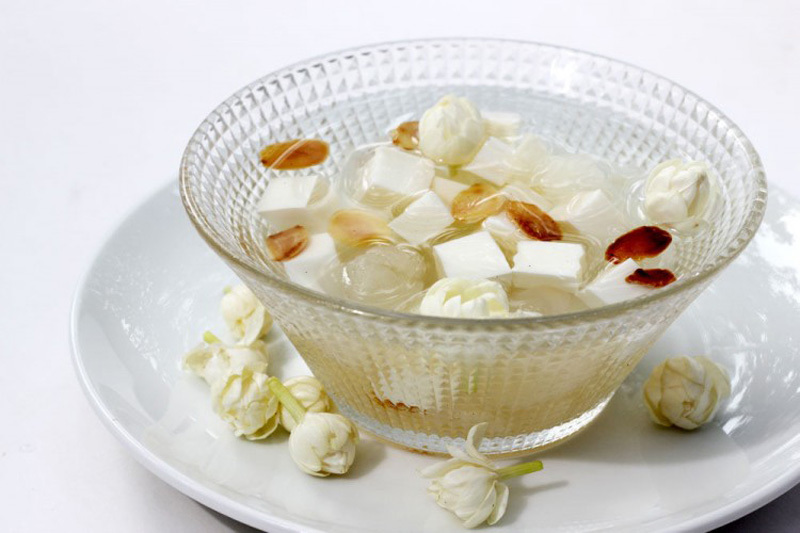 The original Khuc Bach sweet soup contains cheese jelly, lychee jelly, roasted shredded almond seeds and sugar syrup. “Simple” and “savoury” are the two words that best describe the flavour of this dessert. 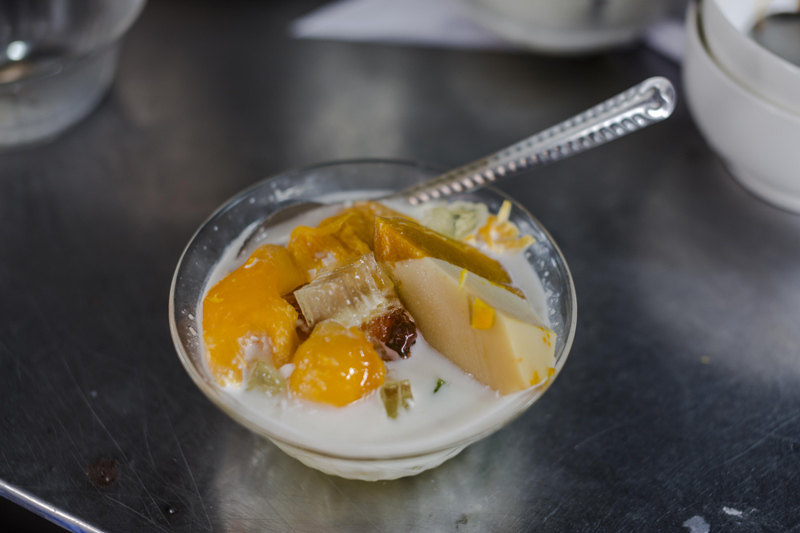 Saigon’s beloved� chè khúc bạch was creatively varied by adding new toppings and novel cheese jelly flavours. 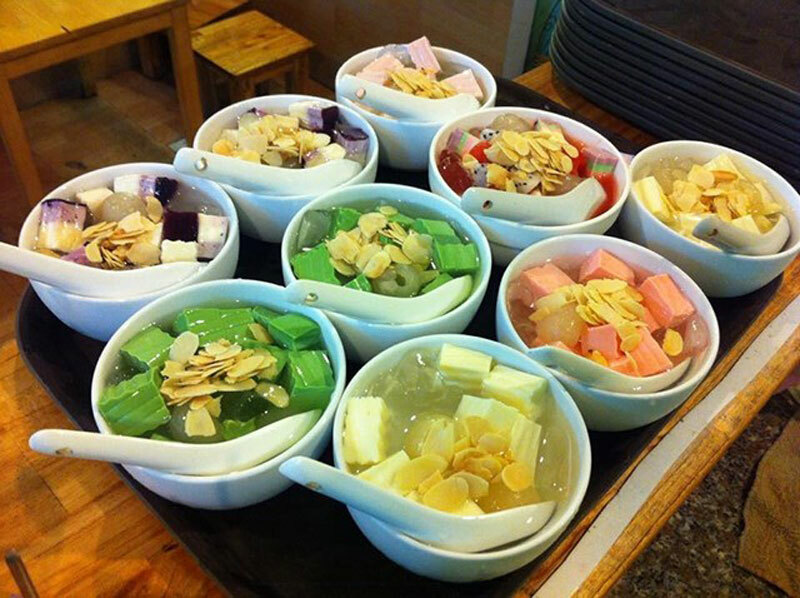 Nowadays,� chè lovers have more options than ever to enjoy, such as� chè khúc bạch with fruits, tofu, cheese, cocoa, green tea, chocolate and so much more. If you can’t decide which Vietnamese sweet soup to try, order a bit of everything. 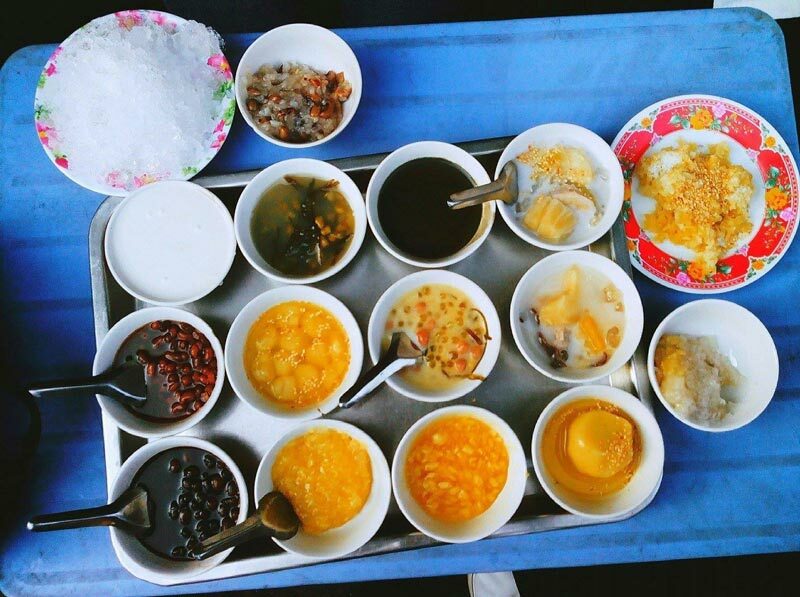 In Saigon, varieties of sweet soups are served in small portions on a tray (“mâm” in Vietnamese); up to 16 options are available. This way, you can curate your own perfect selection of Vietnamese sweet desserts – from� chè đậu xanh (mung bean sweet soup) to� chè bà ba (a heavy, starchy combination of sweet potato, cassava, and taro in a rich coconut milk soup) and� so on. This is always a good option if you’re eating with a group of four or more. 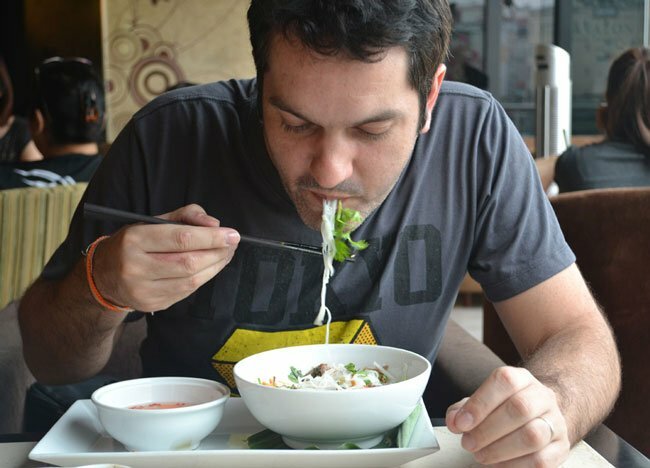 Besides local flavours, Saigon� chè also include sweet soups brought over from other countries in the region. Regional flavours are added, making them culturally unique. Cambodian-style� chè is made with shaved ice, coconut milk served with durian sauce, strands of egg noodles, palm fruit, salted egg, mung bean paste and baby tamarind. The key ingredient that gives this treat its special flavour, however, is the pumpkin flan, a delicacy made from egg custard cooked in a hollowed-out pumpkin. These pumpkins are usually imported from Cambodia, which gives the custard a sweeter flavour than pumpkins in Vietnam. Make sure you don’t eat the rind! Ho Thi Ky Market, located on the borders of District 10 and District 1, is well known as Ho Chi Minh City’s largest flower market, as well as Saigon’s unofficial Cambodia Town. You can find� various Cambodian dishes here, and sweet soup is one of them. Meet Fresh is a Taiwan-based chain, popular for its herbal jelly, widely adored by Vietnamese youths. A bowl of Meet Fresh contains a combination of herbal grass jelly and taro balls. Some of the common toppings include beans, nuts and fruit, depending on your preference. This Taiwanese Sweet soup is finished off with brown sugar, coconut milk and sugar syrup. For anyone unfamiliar with these ingredients, grass jelly is an Asian dessert, made from the leaves of� mesona chinensis, a member of the mint family. Taro balls, the more chewy, mochi-like balls, similar to the Chinese sticky rice balls, are made out of taro. TROUBLE BREWING FOR VIETNAM’S COFFEE INDUSTRY?